“When I heard I was being nominated for the Award I felt such a lovely warm sunshine feeling. I had – in my previous life – many years ago in my career some achievements but because of my illness and years of pretty awful experiences that I’ve been through, this nomination means far more to me than anything I’ve ever had before. I was just so proud to tell my daughter and son-in-law that I had been nominated. They were so pleased and happy. What a boost. I feel a bit of a lift inside which helps with my confidence so much. Thank you. 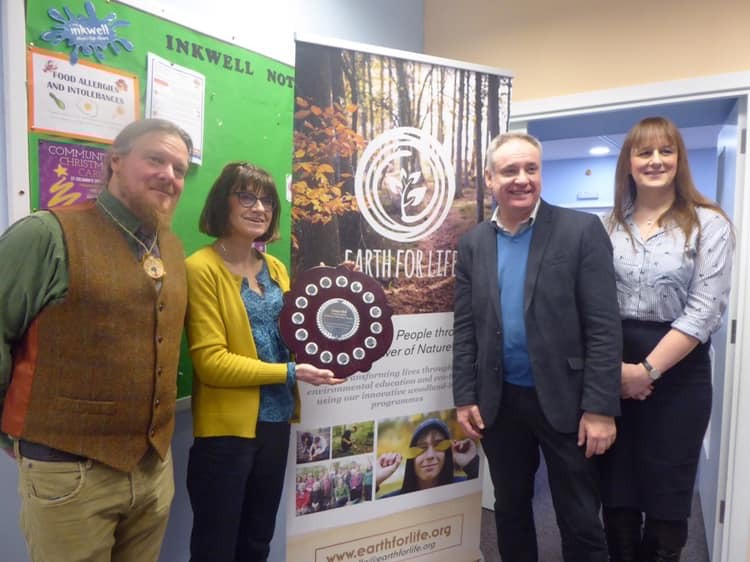 Lead Scotland’s Moray Learning Coordinator was invited to meet partner Earth for Life’s 12 week Branching Out programme participants to encourage those interested to use the knowledge they had gained to work towards an Adult Achievement Award. Anne absolutely blossomed whilst working towards her Adult Achievement Award at SCQF Level 3 and regained a sense of purpose and optimism. It enabled her to focus her thoughts and experiences on just how much she had achieved and how her mental wellbeing has improved through the connection with the natural forest. Within the space of one year, things turned around for Anne who went on to train as a Peer Mentor for the Branching Out courses and has also now become a Lead volunteer to supporting another learner through the SCQF level 2 course and is a volunteer advocate at Circles Advocacy. Anne has become a lifelong learning champion next tackling SCQF level 6 Adult Achievement Award and is improving her IT skills with the support of another Lead Volunteer. The benefits extend far beyond learning as she is now involved in a Wildlife Tracking group, has developed new friendships has become more actively involved in the local community and has felt more inspired to create things through crafts and art work.